Element Distribution will release ‘The Dig’ in select Irish cinemas on April 26th. In 2018, the film won Best Irish Feature at the 30th Galway Film Fleadh, it was nominated for the Discovery Award at the British Independent Film Awards and screened at the prestigious Canadian film festival TIFF. After serving fifteen years for murder, Callahan (Dunford) returns home to find Sean, his victim’s grieving father, searching for the body on an endless bog. When Callahan asks the local police officer to remove the man from his land, he soon realizes that the police and community want the killer in their midst gone for good. With no memory of the murder and no way of stopping Sean, Callahan’s only option is to join The Dig. Sean’s disapproving daughter Roberta watches this uneasy alliance unfold and as they dig closer to the truth, Callahan hopes he will soon find the closure he has been searching for. The film boasts a strong Irish cast led by Moe Dunford (‘Rosie’, ‘Black 47’, ‘Handsome Devil’), Lorcan Cranitch (‘Les Misérables’, ‘Love Rosie’, ‘Dancing at Lughnasa’), Emily Taaffe (‘War & Peace’, ‘Beast’, ‘Little Bird’) and Francis Magee (‘Game of Thrones’, ‘Jimmy’s Hall’, ‘Justice League’). The screenplay was written by Belfast native Stuart Drennan and developed through Northern Ireland Screen’s New Talent Focus scheme with Lottery funding from the Arts Council of Northern Ireland. ‘The Dig’ was shot entirely in Northern Ireland with funding from Northern Ireland Screen Fund supported by Invest NI and from post-production house, Yellow Moon. 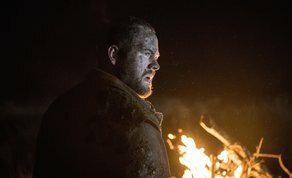 Element Distribution will release ‘The Dig’ in Irish cinemas on April 26th.